They ruled daytime in the 1970s. They were the first (and only) soap actors to grace the cover of Time Magazine. And they helped shape my life, personally and professionally. I have few words to convey the humbled gratitude I experienced sitting down and speaking with Bill and Susan Seaforth Hayes. The only thing that could possibly have made it more special was to have my mother with me, the woman who introduced me to the world of Doug and Julie and the turbulent going-ons in Salem throughout the 1970s. And so Joy Jacobs, my mother, came to our meeting as well, and participated in our discussion. Please enjoy this candid and revealing interview, and one of the most special days of my life. We Love Soaps: I don’t have words to express what an honor it is to sit here with both of you, and my mother, who got me hooked on DAYS as a child. I have told you that I work as a therapist, and one of the reasons why I love soaps is because I feel they have the capacity to psychologically enhance their audience. You two have been a large part of that. Susan Seaforth Hayes: Thank you for that. We had a burn story. Julie was scarred in the face and hesitant to go forward with corrective surgery. She was in such state of depression, and she was frightened. And then she made the decision and it was successful. Then we went to Greenbay, Wisconsin, to do a telethon about a year and a half later. A mother and a her little daughter came up to us. The girl must have been five years old or maybe six. Her mother said, “I want to thank you. My daughter had to have surgery for a burn accident. She didn’t want to. She had been terribly frightened and had already been hurt so badly. She saw the story, she saw Julie decide to do it. The day Julie decided to do it, she decided to do it. And it was a successful surgery for her.” So her life had been changed, her mother’s life had been eased. It was profoundly moving to us. I never felt that the contributions of the long running actors were trivial after that. The shows have the capacity to do good in the world, and they have the ability not to. Bill Hayes: It is not trivial. Do we have stories today that touch people in the same way? Do you see that? We Love Soaps: I don’t think so. I don’t think the way the stories are told now are trying to show the triumph of the human spirit over adversity. I think in some ways it’s still there, given that you see many of the same characters survive horrible events year and after year. But I think in your time on the show they were more skilled at showing people go through the emotional process of a tragedy or a painful breakup, and then see them come back from that over a period of time. Susan Seaforth Hayes: Do you think it’s because the length of the scenes go faster now? We Love Soaps: They underestimate the patience of their audience. DAYS has gone up in the ratings this past year, and part of that I think was due to the fact that they told a slow paced old-fashioned baby switch story. It was told slowly, with nuances, so that the audience was grappled for an entire year. Susan Seaforth Hayes: We have a producer at the moment [Gary Tomlin] who is an actor, a writer, a producer, and a director. He has earned his living in all of those capacities on all the networks for years. My mother [Elizabeth Harrower] worked with him. I worked with him on SUNSET BEACH. There’s nothing he does not know how to do. Apparently, when he came on the show he said that we are not going to tell stories about computer chips implanted in the brain of the leading man anymore. We’re not going to do the “you’re dead, now you’re resurrected” story. Now when you’re dead, you’re dead, so watch out [laughs]. Suan Seaforth Hayes: He wants to tell human stories, emotional stories. I did a scene with Alison Sweeney [Sami] a couple of weeks ago, which was a confrontational scene. We were pretty well rehearsed, and of course we have to be, because its one-take or die. She was just a fountain of tears at the end of it. Gary was standing there, because he’s now always on the set. He doesn’t go into the booth, he doesn’t go into this office, unless he absolutely has a meeting that is unavoidable. He is there from the first shot of the day to the last shot of the day. He said, “That scene was gold. What we do there, nobody can do that as well we do. No one touches these emotions the way we do.” He is very proud of his cast. Other than the frenzy with which it is being produced, it is really a joy to be there now. We Love Soaps: I mentioned to you how I struggled with depression growing up. I have such vivid memories of the summer where Julie had been shot by Lee’s henchman, and spent most of the summer in a coma. Everyone kept saying how Julie was fighting so hard to survive, she wanted to desperately to live. I remember the implicit message being, “If she could go through all the tragedies in her life, the marriages, divorces, miscarriages, and being burned in a fire, and still fight to live, then I can too." She represented something I needed to believe in. I needed to believe that if Julie could overcome, then I could make it through as well. Susan Seaforth Hayes: I don’t think there is anything necessarily innocent about embracing a fictional character, and letting that fictional character be a guide post in your own life. I don’t think it’s foolish. That is what literature is about, that is what art is about. It's saying here is an example of a way to do it that you might remember more vividly than someone you know down the street. Because of the setting, the romance, the music...but not necessarily because of the wardrobe. These things make you remember a long time. And it can change lives. I’m sure Gone With The Wind changes lives of a lot of Southern Belles, and those who aspired to be belles. They were able to see a woman’s story at a time when there weren’t a lot of popular women’s stories. I commend you for being able to say that. Not many people could. We Love Soaps: This is why I believe daytime soaps have a power that no other art form does. It creates an intimacy with its audience over a period of time that is so consistent. Movies can’t do that, primetime can’t do that. Susan Seaforth Hayes: The greatest start in the world was Bette Davis. All those films she did and still the most you have is 30 hours. With people on soaps you have thousands of hours. They are company. They are sharing who they are and what they do. We Love Soaps: You two just passed the 40 year anniversary of meeting each other on April 14, 1970. 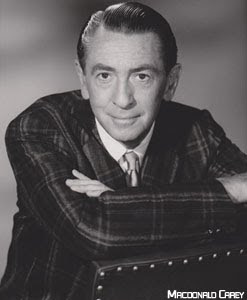 You were introduced by Macdonald Carey? Susan Seaforth Hayes: I can’t say I improved right away, but I became more aware of it. He was more aware, and other people were aware of my manner on the set. I tried to improve it. But once Billy came into my life I not only worried about myself, but I worried about him too. I’m sure I was very obnoxious. I wanted everything always to be perfect. I would go a step further than what was required and Bill would say, “It isn’t necessary, let it go.” Of course in the years since there has been quite a lot of letting it go. Our relationship with DAYS hasn’t always been there. But once you get over being sore about not being invited to the party every day, you can enjoy times you are there. I think that’s where we’ve been for quite awhile I have nothing but empathy for the cast that works so hard, and for the production people who are trying valiantly to keep the show going and keep standards high. Bill Hayes: If they return to the kind of shows that we had in the 70s and early 80s, then I think they will be successful even though the total audience is smaller. Susan Seaforth Hayes: It’s smaller and smaller every year. Bill Hayes: Irna Phillips started it. She was not too successful. But Bill Bell came in [in 1966] and made it successful. He certainly was a believer in what you are talking about. He believed in showing people’s problems. He understood their psyche. He understood how long it takes to help yourself and to help someone else. Susan Seaforth Hayes: And to win someone. He was a great believer in setting up a couple that needs to be together and never ever allowing them to be together. He told us that he would never have allowed Doug and Julie to marry. Bill Hayes: But Pat Falken Smith followed him [as DAYS Head Writerin 1973] when Bill Bell went to CBS to do YOUNG & THE RESTLESS. She had the same ideas. The writers for a long time felt that way. And then sometimes you have to appeal to the people at home. Susan Seaforth Hayes: To satisfy the fans, Occasionally to satisfy the fans. We Love Soaps: And you did! The day Doug and Julie got married there were lots of parties, including at our house. Bill Hayes: Tell us about your party. Joy Jacobs: I had several friends who were watching DAYS at the time. We all had small children. And we decided to have a party after kindergarten. It was a great day, we had a great time. We Love Soaps: I remember it was such a party, having all your friends there, everyone was so happy about this wedding. Bill Hayes: People write us and say they gathered just the way you did. Susan Seaforth Hayes: Some people had wedding cake. Everyone dressed up. Some brought us wedding gifts. EDITOR'S NOTE: Press here for Part Two in which the Hayes's remember their days with Betty Corday, Ken Corday, and Bill's initial reluctance to work on a soap opera. Until then, please visit the Hayes's here. Damon L. Jacobs is a Licensed Marriage Family Therapist seeing individuals and couples in New York City at Mental Health Counseling & Marriage And Family Therapy Of New York. He is also the author of "Absolutely Should-less: The Secret to Living the Stress-Free Life You Deserve". Thank you so much for this interview, Damon! Love it. Can't wait to read the rest. I would have loved to have attended Joy Jacobs' Doug and Julie party! This is such a wonderful interview! Doug and Julie were the first soap couple I rooted for! I was thrilled when they married in real life, and I skipped a class in college to see them finally marry in "reel" life!